California was one of only three states in 2017 to get more than 10% of its power from solar, but has not stopped there. 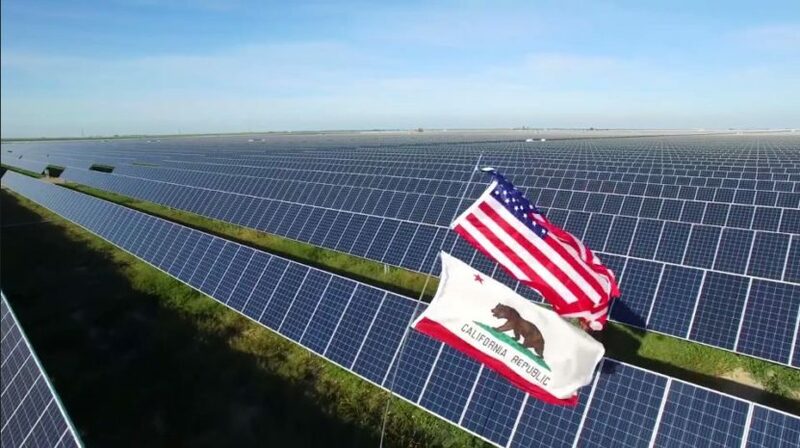 According to an analysis of data from California’s grid operator compiled by pv magazine collaborator and self-described data geek Joe Deely, in May solar generation in the area managed by the California Independent System Operator (CAISO) rose to a new record of 3.02 terawatt-hours (TWh), representing nearly 17% of in-state generation. With local gas generation falling to only 2.67 TWh, or around 15%, this means that solar provided more electricity for Californians than in-state gas for the first time ever on a monthly basis. Nothing is said about the cost of electricity in CA. In Georgia with limited renewable, the average residential cost of electricity is about 11 cents per kilowatt-hour. In CA it is about 19 cents per kilowatt-hour. Georgia has no natural fossil fuel energy resources and has to import all fossil fuels large distances for power generation. CA has natural fossil fuel resources in state and all other within close distances. CA’s high electricity prices is due to renewable being substantially higher than fossil fuel resources. > CA’s high electricity prices is due to renewable being substantially higher than fossil fuel resources. California’s electricity prices were high long before renewables got big. And its because California 15 times more people than Georgia and California actively tries to clean its polluting sources, versus GA who simply spews garbage into the sky.